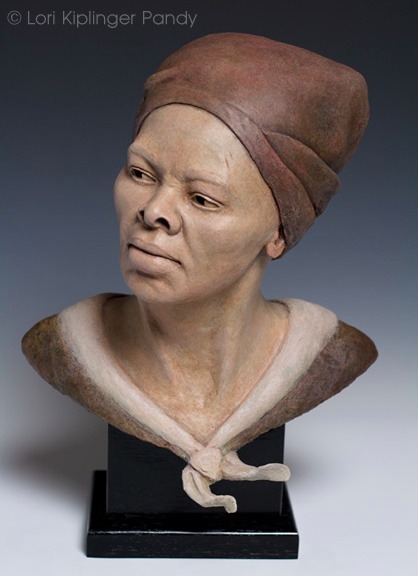 Original life-sized bust of Harriet Tubman from in fired stoneware ceramic. Collection of the artist, not for sale. I deliberately chose an earthy and heavily grogged stoneware clay for this sculpture. 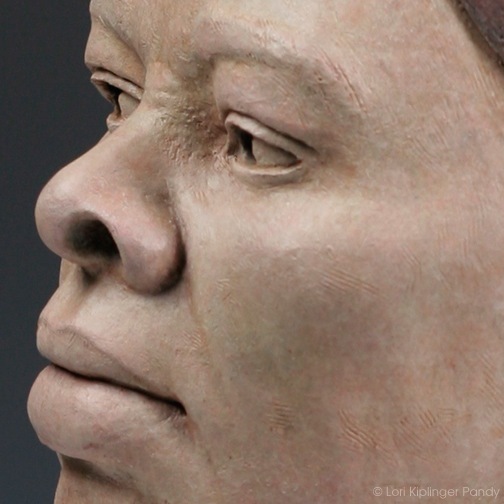 The rugged body of this clay, with it's gritty aggregates and the expressive tooling of the clay combine to give a heaviness and world-weary feel to her face. 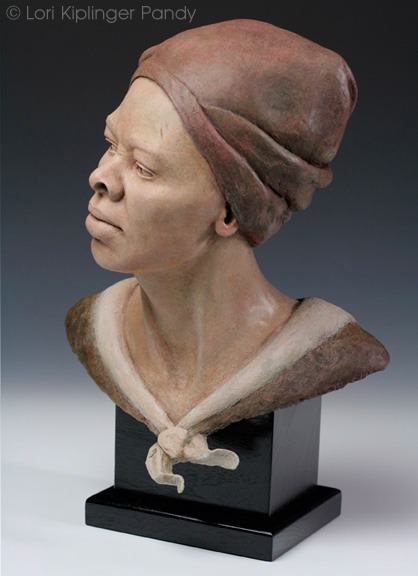 You can see process of sculpting this portrait of Harriet Tubman here. People often wonder where inspiration for art comes from. In this particular instance, I was reading two books simultaneously, as I often do. The books were unrelated and not historical, however on the day that I was reading them, they both made a reference to Harriet Tubman - the Conductor of the Underground Railroad. The coincidence provoked a distant memory of studying about her in school and renewed my curiosity about her. This led to the reading of several biographies of Harriet, where I learned of her immense strength, courage and business acumen. She was a tiny but tremendously strong woman who suffered a terrible blow to the head in her youth while protecting a fellow slave from an overseer. This injury left a scar on her forehead and life-long seizures that rendered her unconscious at times. In her later years she went on to campaign for women's suffrage and created a home for the aged. After reading all I could about this amazing woman, I took time to contemplate her character and then endeavored to sculpt a bust of Harriet Tubman that embodied her ferocious soul - defiantly rising above the restraints set upon her. As this was such a personal journey for me, the original fired clay portrait will not be sold and will stay in my studio with me.